"The nation’s longest-running exposition of its kind for African American consumers"
Black Women’s Expo is an event offering opportunities for African-American brands and industries to trade at an international platform. The event aims at empowering women and providing the latest trends and innovative apparels. The event follows the quote of promoting Black Women where she gets informed, empowered and enlightened. The event also presents a wide array of international speakers and seminars to promote the fashion industry. The event also provides an opportunity for the brands and businesses to interact and network with African-American clients and expand their businesses. This event shows products like an innovative forum that gets charmed by the immense display of women accessories and requirements, women stuff, ladies clothing and materials and all associated with women etc. in the business services industry. I attended the BWE over the weekend with my daughter and granddaughters. We had a fabulous time. Unfortunately, I lost my program book and need some information.Who was the Exhibitor/Vendor in the Kids Corner doing the Face Painting on the kids? It was back by the Bounce House, booth #900 I believe. The young lady there gave me a business card, but I collected so many business cards, I can’t remember which is which. I want to contact her about something we discussed. I should’ve written on the card, but that’s what I get relying on my memory. Can someone please help me? 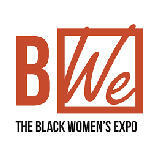 Exhibitor profile of the event, Black Womens Expo, would include apparel and fashion accessories, health and wellness, cuisine and entertainment, medical services, home decor, nutrition, skin care products, banks and financial institutions, beauty and fragrance, confections and gift assortments, women sports teams, dating services, fitness and equipment, fashion and lifestyle, hand crafted arts, personal products, spas and salons, wireless companies and technology, women civic groups and clubs, work life and financial fitness.